In this post we’ll create a single page app with Vue.js that shows a random quote or string. We’ll start from scratch and use the default webpack-simple boilerplate provided by the creators of vue through vue-cli. This again is part of the Making of photographerexcuses.com post series, where I walk you through all parts that were necessary to create the page. For this tutorial you’ll need to have node.js including npm installed. The most important for us are src/App.vue and src/main.js for now. package.json holds our dependencies and webpack.config.js has the tasks for development process and the build task which we’re going to get back to. Let’s focus on the <script> part. We have changed the return object of the data function and now it contains an empty currentQuote and some other quotes by some cool people. The created function runs when the component is displayed. Inside methods we have defined a function that grabs one of the quotes at random called displayQuote. The random quote is then set as the value of currentQuote of the data function. Now it’s not exactly what we want, because we don’t want anyone to hit their refresh button in order to skip through the quotes. This will cause the function that randomly picks a quote to do that every time you click the quote or quote author. Keep in mind that the function name must be identical to the one used inside the methods object of your component. If you want to know more about creating APIs, we’ve used Go and I blogged about it here: Building a Go(lang) API with echo and MySQL. The API in that example emits a random excuse whenever the default route is hit. In this example let’s use the fantastic httpbin example API to make a request and retrieve some data every time we refresh the quote. First, let’s add the new data we want to retrieve as keys on our data object, in this instance: userAgent. The first .then block is run if the request is successful, the second if the request fails for any reason. To deploy your app, you just need to run npm run build and copy index.html and the dist folder to a webspace of your choosing. If you want to deploy it to a VPS you can read my most recent VPS comparison. I have implemented a bit more functionality, for example we can link to specific excuses for photographers based on the URL, so https://photographerexcuses.com/id/67 actually gets the excuse with id 67. We’re also watching for changes or the params.id in order to support the browser back button. On top of that we’re utilizing marked to render markdown, like for this excuse (the AV is in bold). Building Single Page Apps with Vue.js is fairly straight forward, there is not a lot to keep in mind, there is tons of tutorials and the framework makes it very easy to do simple things. You really don’t need half a day to set up a project, the barrier of entry is low. 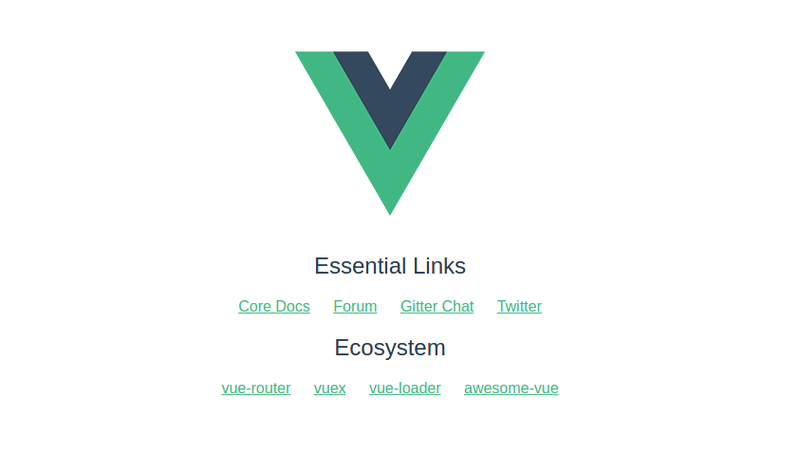 If you’d like to know more about Vue or would like me to write about other things, let me know! If you liked the post, consider subscribing to me on twitter or feedly, if I forgot anything, please let me know in the comments! Hi man! Great post, the tut was easy to follow and I liked how you broke it up into separate parts without over complicating it, thanks keep it up! Thanks! That’s really great to hear! Have you figured out stateful routing in Vue. I have a scenario with multiple filters on a table that I would like to be routable, meaning that when I select values for the filters the route will change accordingly, and if I navigate to the route the filters state will reflect the params in the route. Sounds like you have multiple and optional route parameters that you need to watch and give to your child-components or state system. I’ve made an Application of Admin Template with Vue Js. then 404 Page is showing. How can I customize it with my Template’s 404 Page?